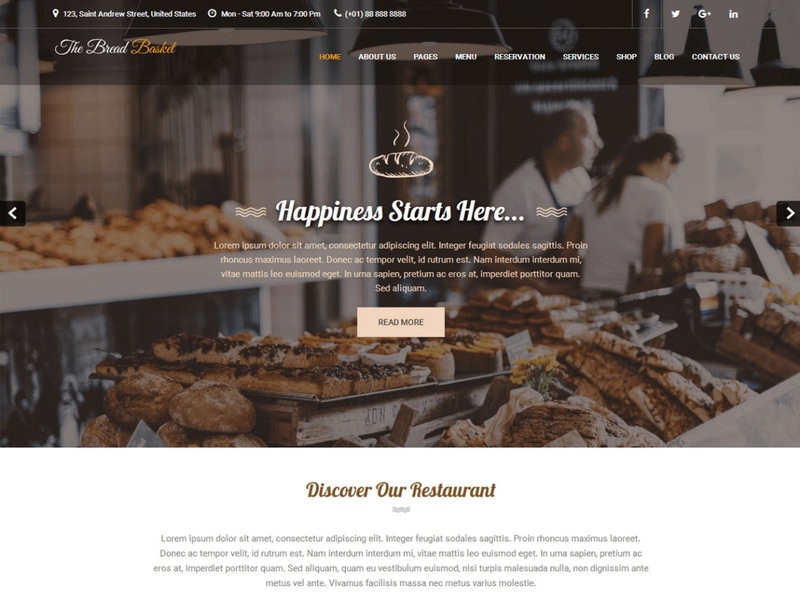 Bread and Cake is a bakery WordPress theme designed for bakery, food or beverage company, bread shop or other similar businesses. The theme is the ultimate solution for pastry or pizza delivery services or any kind of cafe or restaurant. Bread & Cake is a fully responsive and retina ready theme, so it looks amazing on any screen sizes. Comes with easy to use an option in customizer and hence it is very easy to customize without having knowledge of coding. Services section is available on the homepage to showcase your services. This theme is compatible with most popular plugins like WooCommerce, Contact Form 7, Nextgen Gallery and many more. It also comes with some Google fonts and 650+ Font Awesome icons. The theme supports compatibility with “All in One SEO pack” & “SEO by Yoast”. The theme is translation ready and compatible with qTranslate X plugin. Built with valid HTML5 and CSS3 code. It is a cross-browser compatible theme and comes with a one-click demo install. TYhis theme is compatible with the latest version of WordPress. This theme is working well with the plugins like WooCommerce, jetpack and contact form 7.